One of the most misunderstood camera accessories is the camera filter. 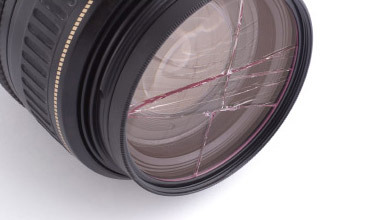 Camera filters protect the camera lens from moisture, dust, and thumb prints, while helping improving image quality. Depending on the desired result and the type of camera that you have, you can create unique, creative effects to take photography to a whole new level. In the past UV filters, or haze filters, were used to cut through the atmospheric haze effects, moisture, and airborne pollutants that cause image degradation. These filters came in various strengths and coatings for optimum results. UV filters are still a great choice, but you can also select a clear filter designed just for protection. Polarizer filters saturate colours for outdoor photography to cut back on reflections or glare from glass, water, and polished surfaces. A polarizer filter is set on a secondary ring mount and manually rotated while viewing the subject through the viewfinder to achieve desired levels. These dark-toned filters block light transmission in various degrees to achieve your desired effect, such as exposure control or blurring movement of flowing water and pedestrian traffic. They are available as specific pre-set values, or as variable density. In bright sunlight, you can maintain aperture size and reduce shutter speed to blur action or maintain shutter speed and increase aperture to reduce depth of field. London Drugs has the types of camera filters you are looking for whether you need one filter or a series of filters to achieve the perfect shots. A camera lens filter prevents moisture, dust, and fingerprints from getting on the camera lens and come in a range of styles and densities to create various image results. What are UV camera filters for? UV camera filters reduce haze and improve contrast by minimizing ultraviolet (UV) light intrusion. Such filters also increase camera resale value by keeping the lens in excellent condition. What camera filter should I use? 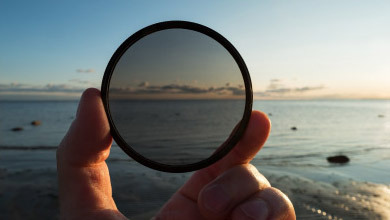 UV filters or protection filters will improve image quality, while polarizer filters or neutral density filters sharpen images and limit reflection or glare while adding tones and depth. Can you stack camera filters? You can stack camera filters to achieve your desired results, such as a UV camera filter with another filter to create unique images. 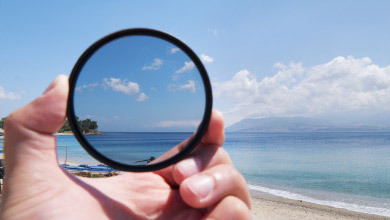 What is a polarizer filter used for? A polarizer camera filter manages outdoor light to enhance colours, increase contrast, and reduce reflections. The effect varies; depending on the lighting conditions. The polarizer filter can create rich scenic shots with dramatic sky and clouds.